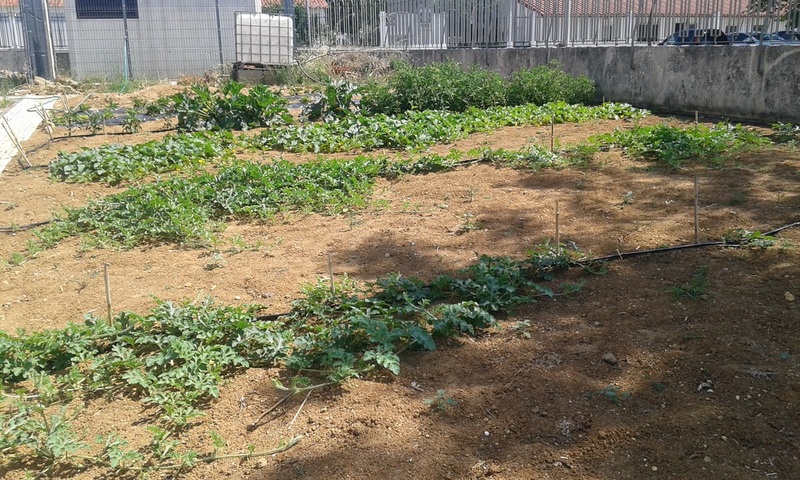 As it happened last school year, in 2015-16 the vegetable gardens kept on being cared by pupils ans students. 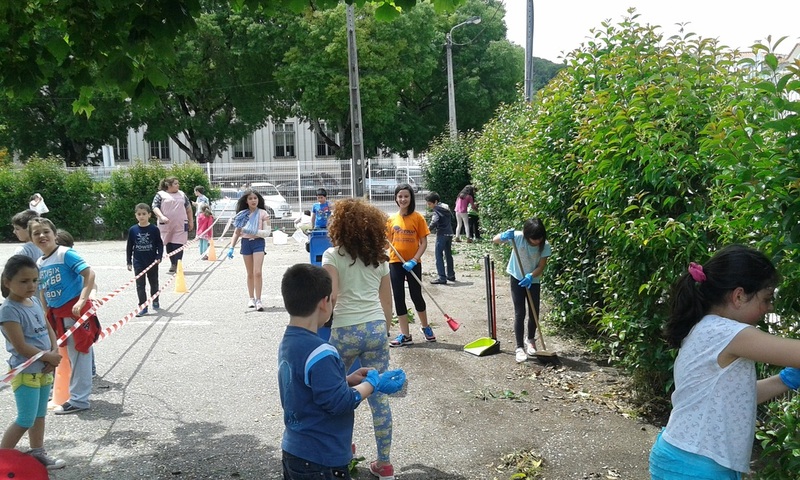 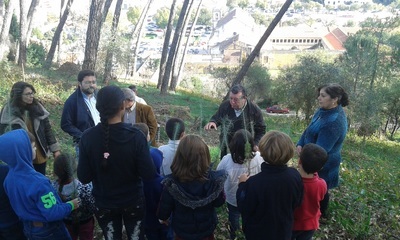 On the photos hereunder we may see vegetable gardens from Jacome Ratton School, Prince Henry School and the attempts of Templários School pupils trying to get some earth to make their own garden. 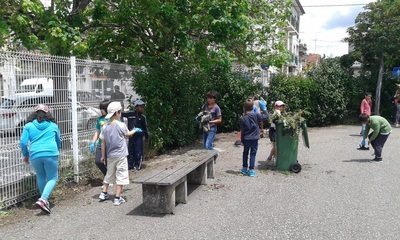 The fact is the school yard is totally paved; so, for next year, we will get some special boxes to be filled with eartrh to be seeded. 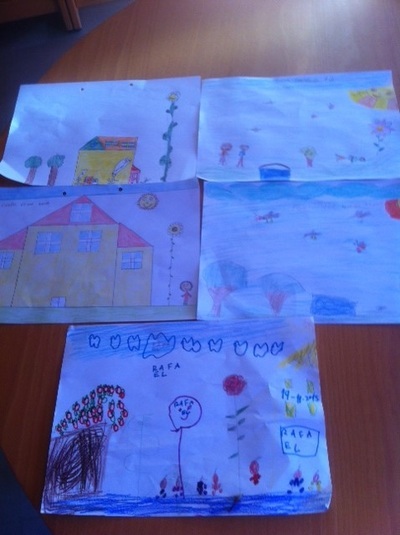 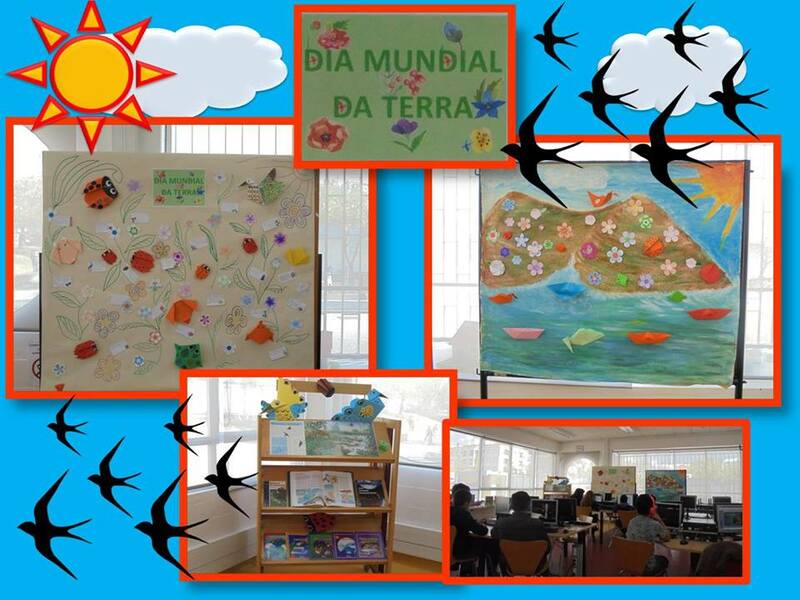 To celebrate the Planet Earth Day, pupils of Gualdim Pais eorked the theme of sustainability with art, paper foldings poemas and thoughts about the issue. 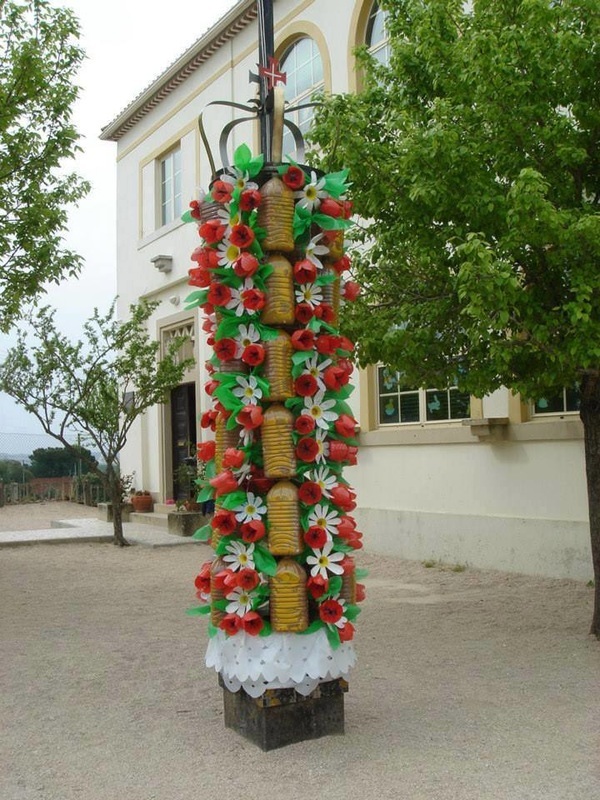 Dia 22 de Abril assim como nos dias precedentes, os alunos fizeram origamis e enfeitaram flores, ao mesmo tempo que meditaram sobre os problemas ambientais, elaboraram pequenas quadras e pensamentos, celebrando ao mesmo tempo a chegada da primavera, tudo isto resultou nesta exposição que temos patente na biblioteca António Torrado, que enriquecemos com uma pequena mostra bibliográfica. 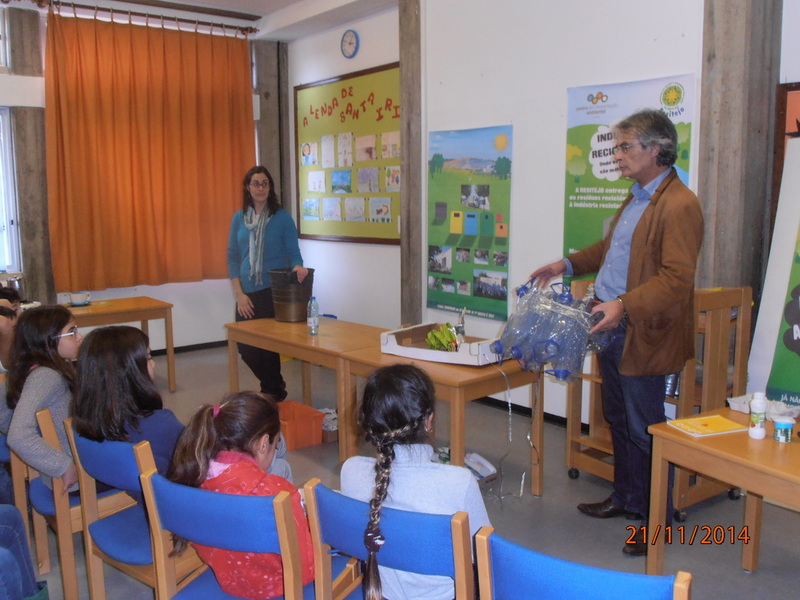 To celebrate Forest Day, on March 15th 2016, at the auditorium of the main school of Templários Group of Schools a conference on the importance of preserving the Forest took place. 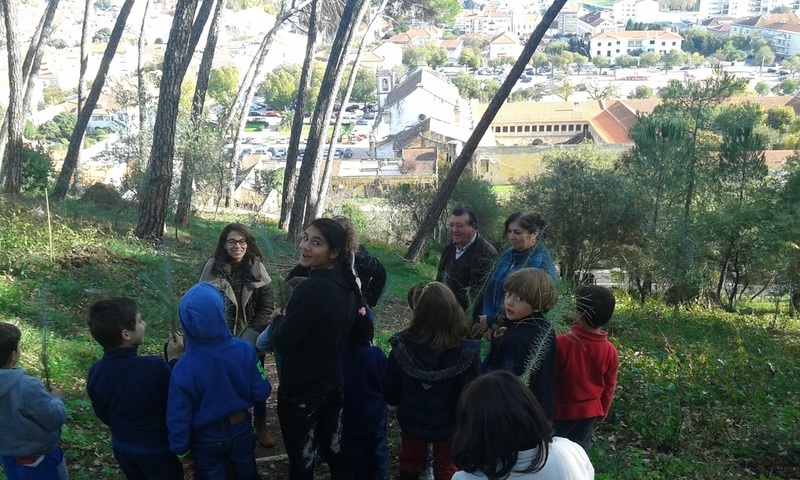 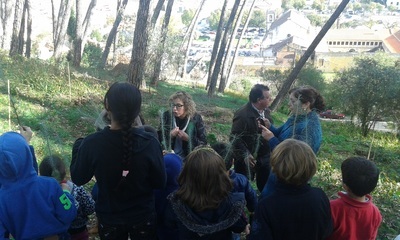 All the classes of 5h and 6th grades of Gualdim Pais School and Santa Iria School could also see an exhibition and tlistent o the explanations about some of the materials forests provide us. To know in order to preserve is mandatory! Decorreu no dia 15 de março, no auditório da escola sede, uma palestra sobre a importância de preservar as florestas. 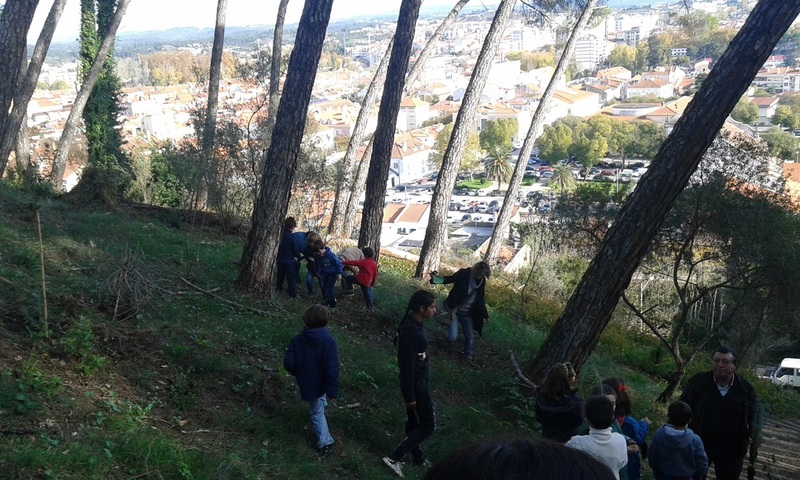 Os alunos das turmas do 2º Ciclo puderam, ainda, observar uma exposição e ouvir as explicações do orador sobre alguns dos materiais que a floresta tão generosamente oferece às comunidades humanas. 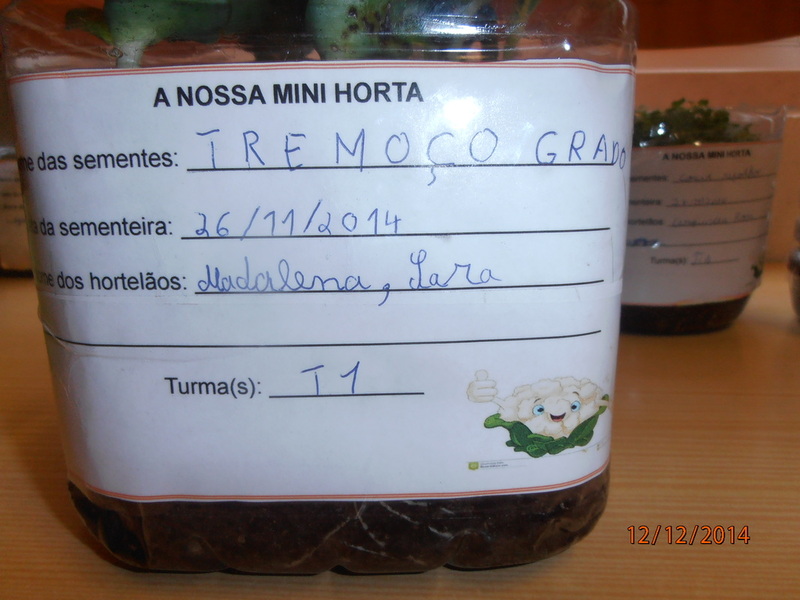 Conhecer para preservar é fundamental! 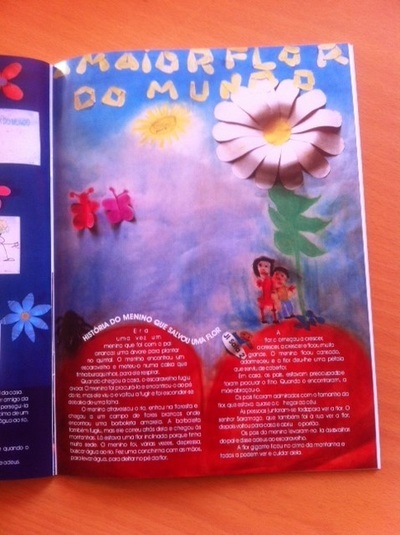 Templários Kindergarden pupils have created and published a pdf magazine telling us a story about a magical kingdom where humans, animals and nature live in perfect harmony. 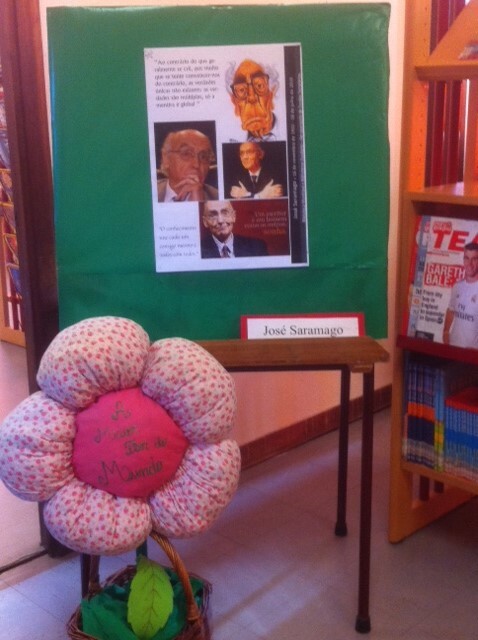 This has been a work of illustration under the supervision of a sub-project “LEARN MORE WITH THE SCHOOL LIBRARY”. 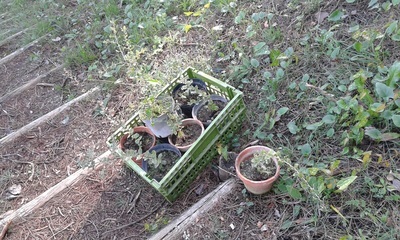 ​Hereunder you may see the cover and downlod the file. 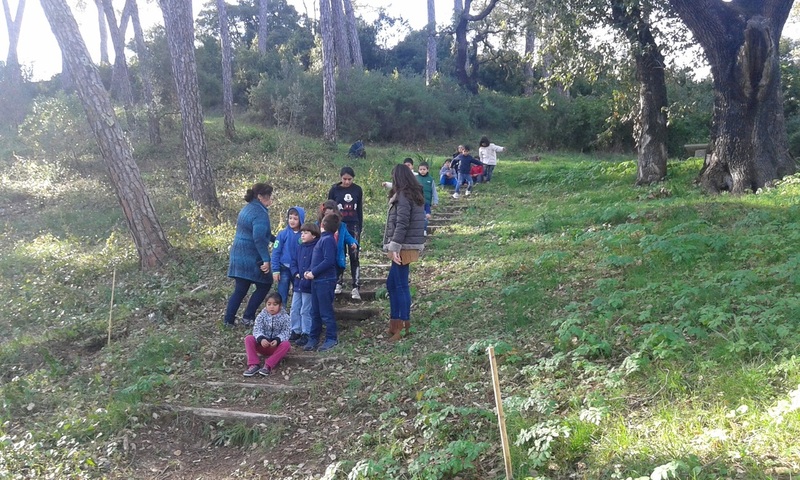 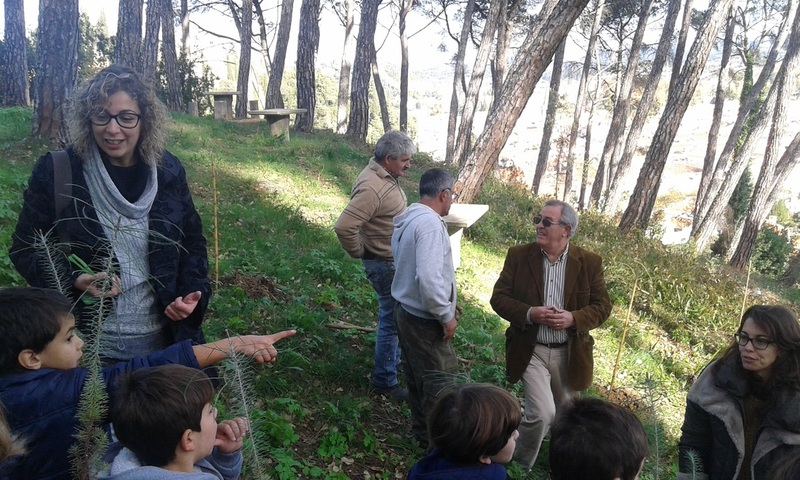 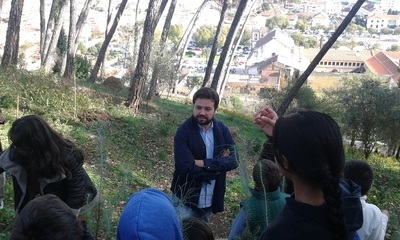 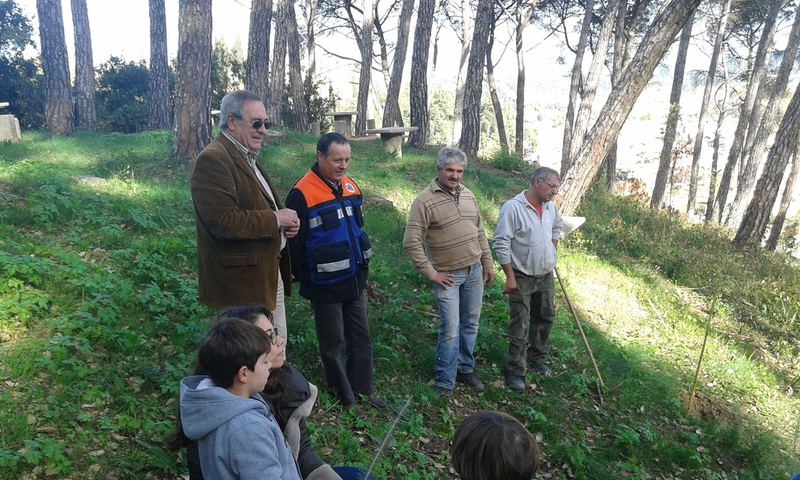 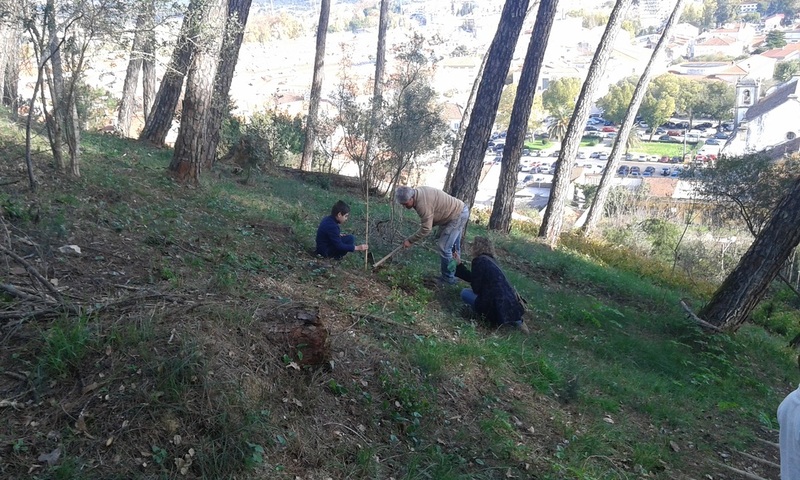 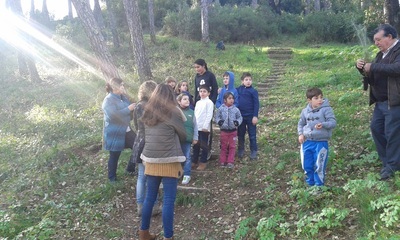 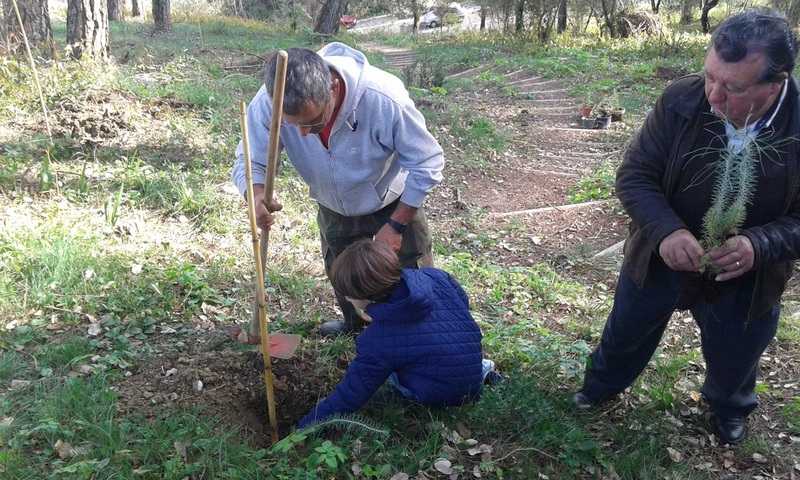 Following last school year's activity, the same class, one year later, went back to the same pinewwod near Templários school to see how had the last year's pines grown and also to plant some more trees. 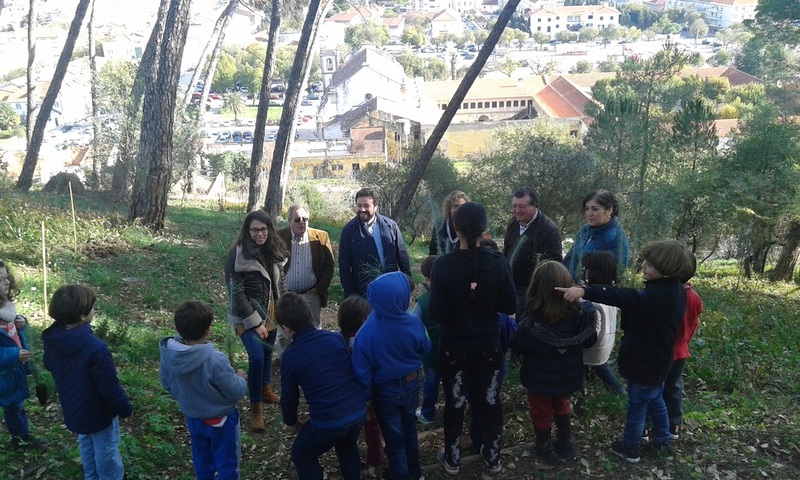 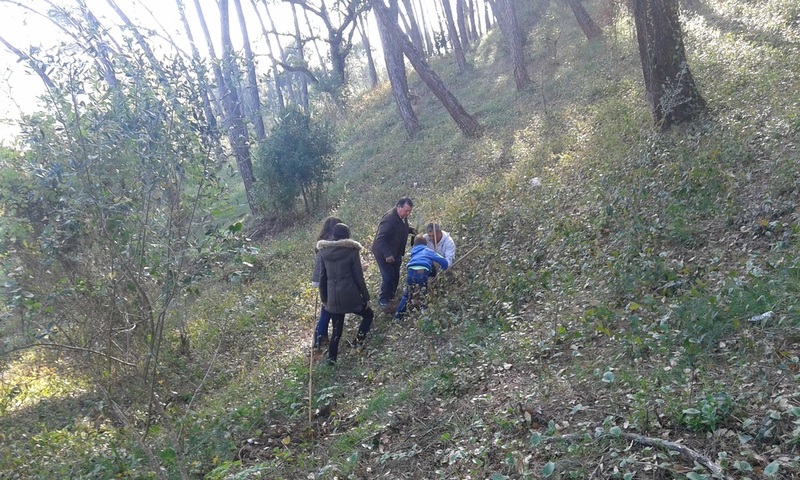 A importância de pequenos gestos na defesa da floresta foi um dos ensinamentos obtidos pelas crianças da EB1 Templários que na passada terça-feira participaram numa das iniciativas de plantação levadas a cabo pelo Município de Tomar, no âmbito da Semana da Reflorestação Nacional, neste caso em colaboração com a Junta de Freguesia Urbana. 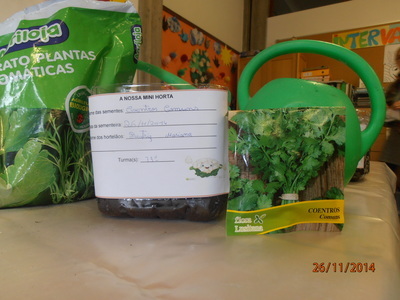 Foram plantadas várias espécies autóctones, nomeadamente pinheiro manso e carvalhos, no pinhal de Santa Bárbara. 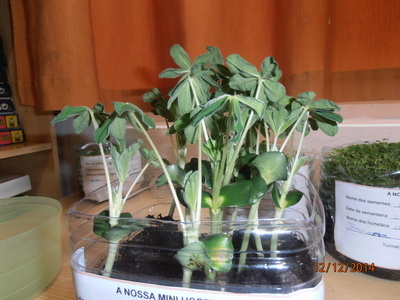 No final, todos quiseram levar para casa, para semearem com vista à sua plantação no futuro, algumas das bolotas que pejavam o chão. On the week of portuguese Literature Nobel Prize, José Saramago, Templáriosa school promoted an activity regarding this author through its only story for children, telling us about the importance of Nature and MANKIND. 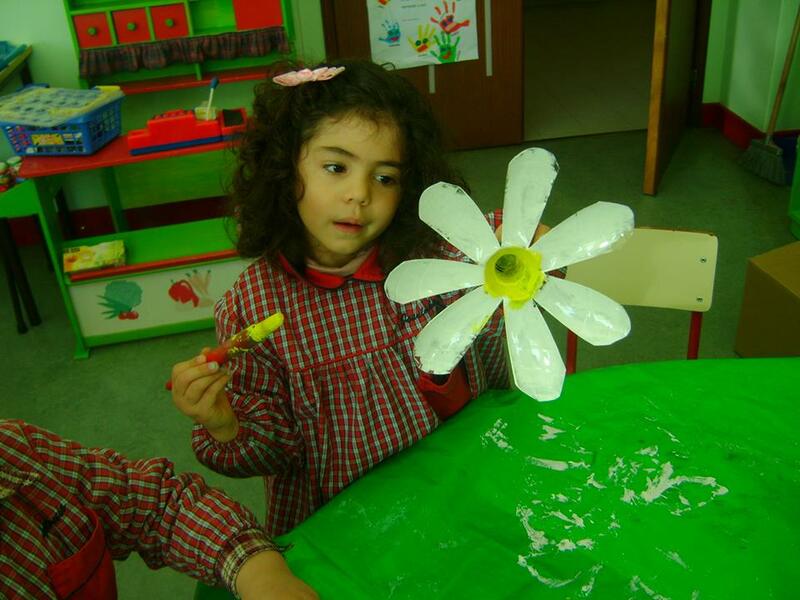 The BIGGEST FLOWER IN THE WORLD. 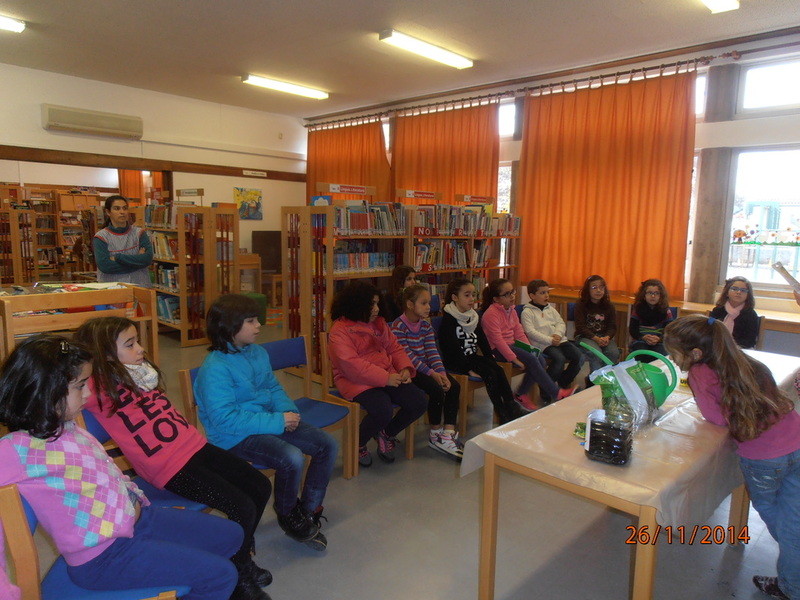 A book written by the pupils on that story some years ago published and printed was also an important contribution to this activity. 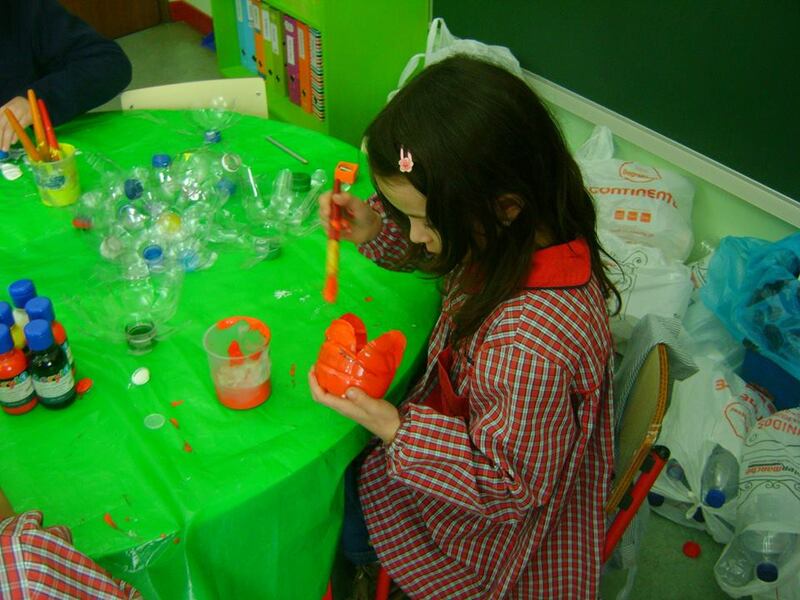 Don't forget that Erasmus looks for durable products. 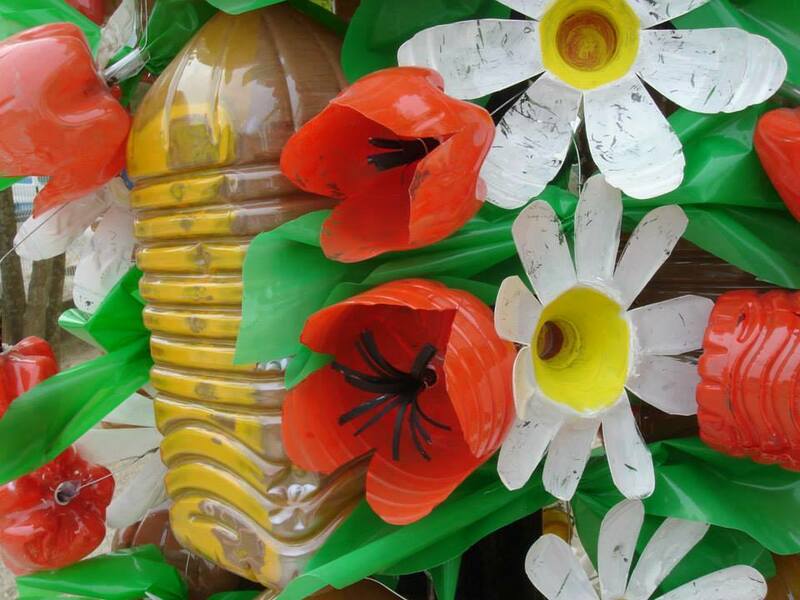 This was an example of a durable product produced before Erasmus! 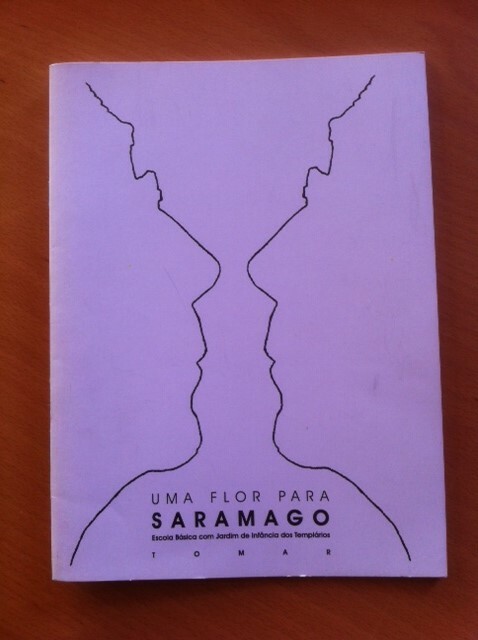 Na semana de comemoração do aniversário de José Saramago (16/novembro/1922) a BE não podia esquecer e relembrar a importância de tão ilustre escritor, PRÉMIO NOBEL DE LITERATURA – 1998. 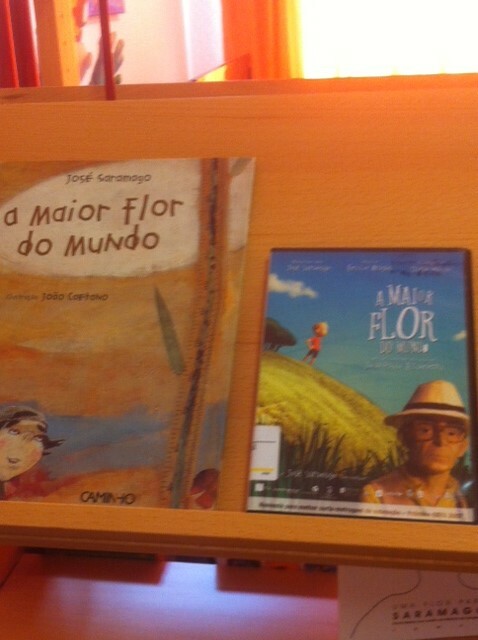 Os alunos do 4º ano ouviram a história “A maior flor do mundo”, único livro do escritor escrito para crianças. 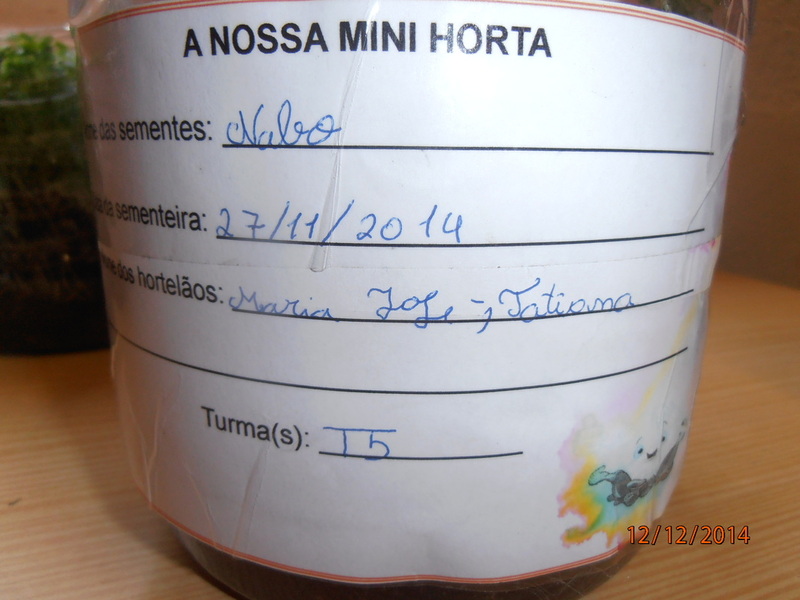 Foi com muito interesse que os alunos assistiram a esta actividade! De volta às salas de aula, os alunos escreveram textos recontando a história, contando algumas boas práticas que também já tenham praticado ou que eventualmente gostassem de vir a praticar! De referir que nesta actividade foi ainda utilizado o livro que a escola dos Templários publicara em 2010/11: UMA FLOR PARA SARAMAGO. 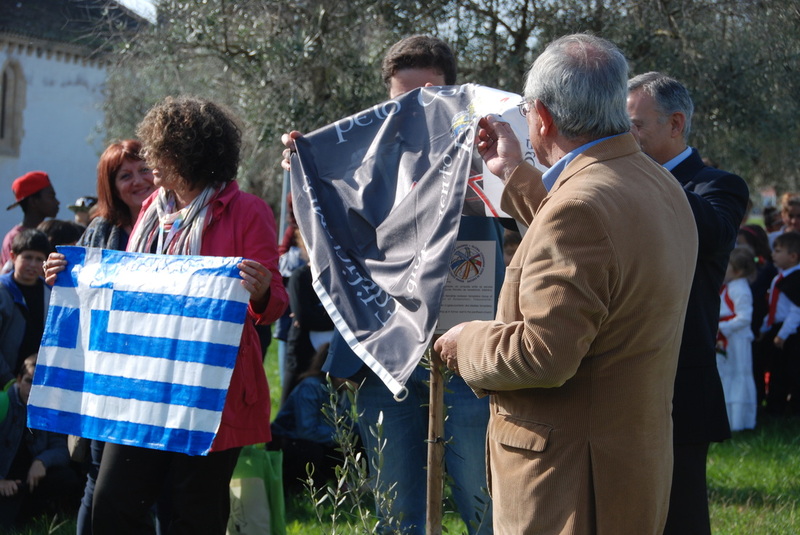 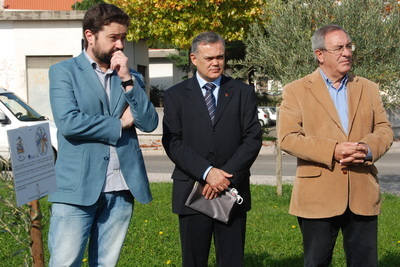 When, in April 2013, during the Thessaloniki project meeting of the Landmarks and Monuments Comenius Project, all the partners received a baby olive tree in Thessaloniki as a symbol of peace and friendship among Europeans, the Portuguese delegation decided to ask the municipal political power of Tomar some conditions for the tree to be planted in a public place. 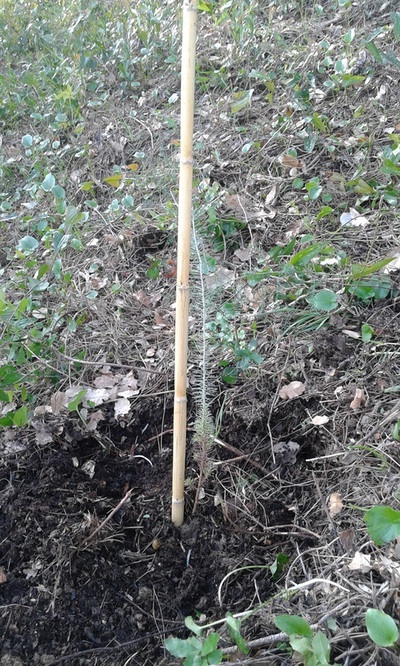 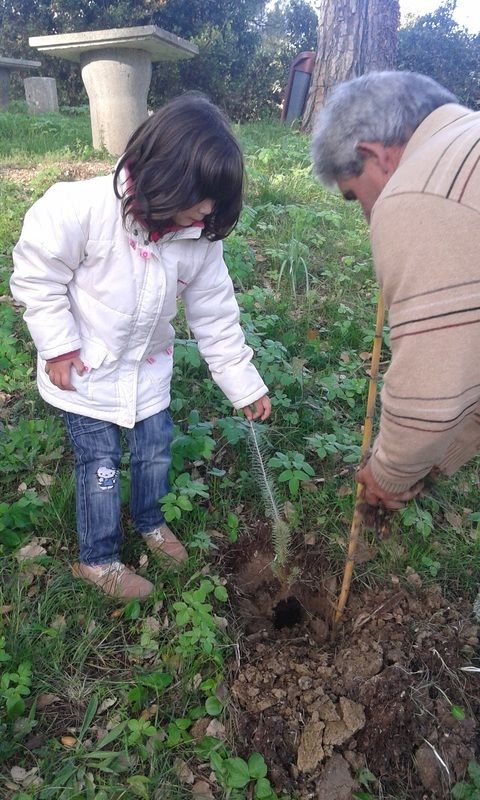 Since then, the olive tree grew a little bit and, finally, in November 2015, during the Tomar Meeting of Global Citizenship Project, we had the opportunity to properly celebrate the planting and the friendship. 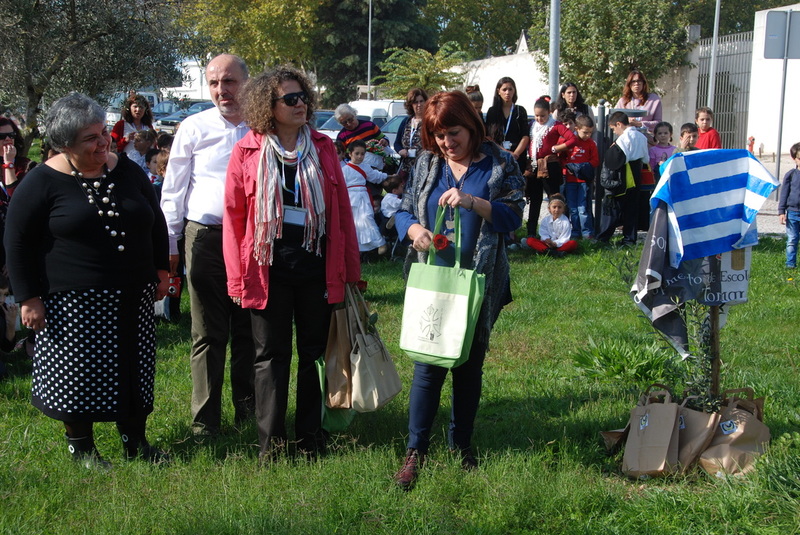 So, on the 13th November, before municipal and educational authorities, the Hellenic delegation proudly removed the Hellenic, Portuguese and Tomar flags from the tree, showing, this way, to al Europe the friendship between 1st Primary School of Asvetohori and Templários Group of Schools. 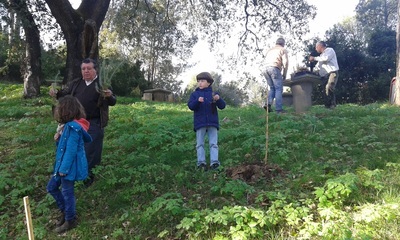 The tree will grow next to the eldest church of Tomar, pantheon of the ancient Templar Masters and surrounded by other olive trees. The right place to live for many years! 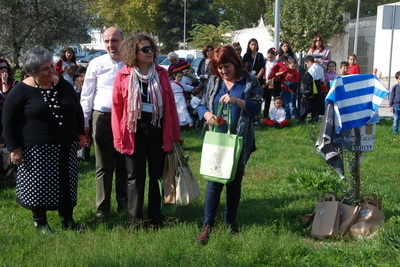 Images from left to right / first row: 1 - Flags being removed; 2 - olive tree still with flags; 3 - political local authorities (Deputy Mayor, Director of the Group of Schools and Deputy Parish Mayor. 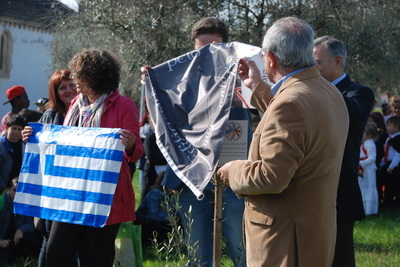 Image second row: the inscription on the tree for futur memory. A good disemination activity and an enduring product to grow years ahead. 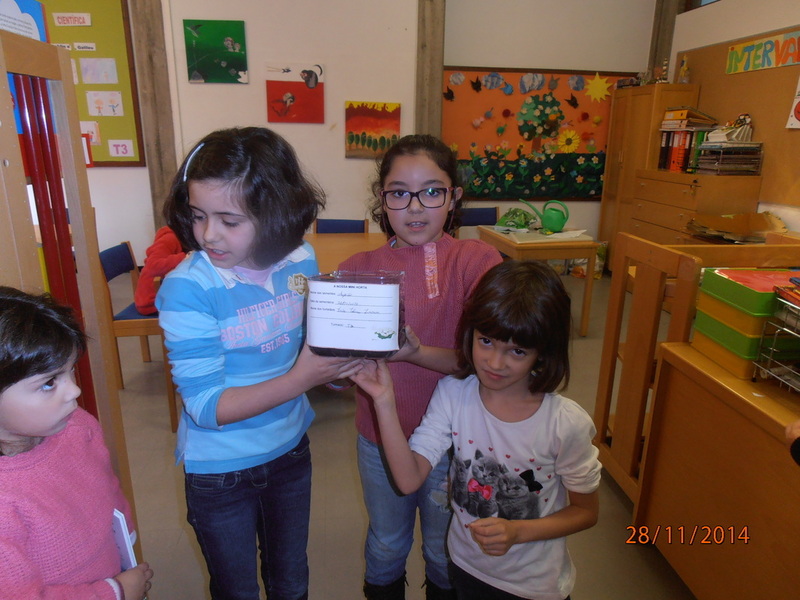 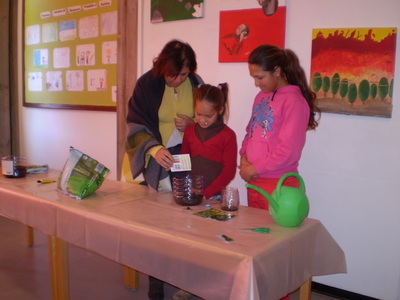 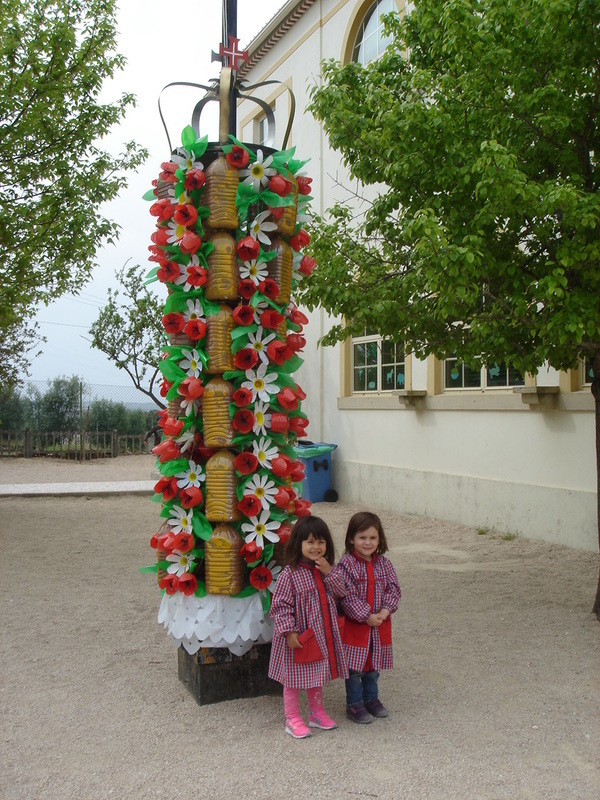 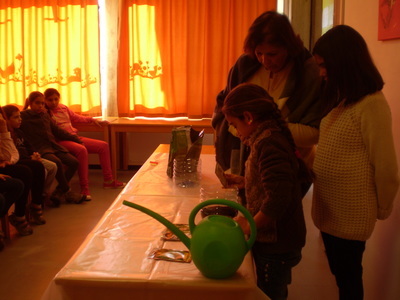 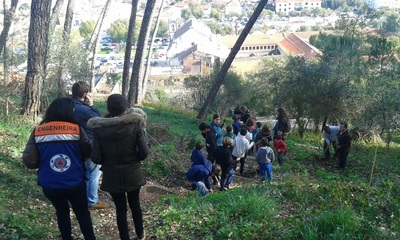 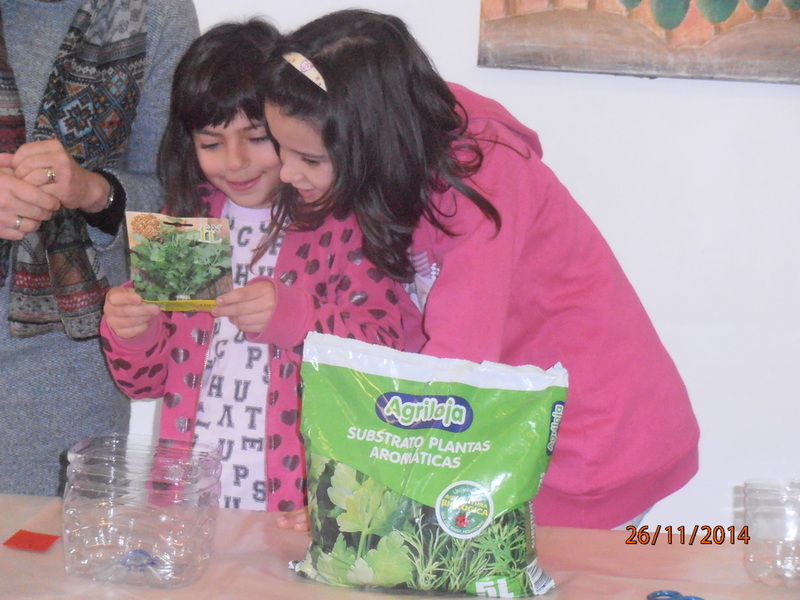 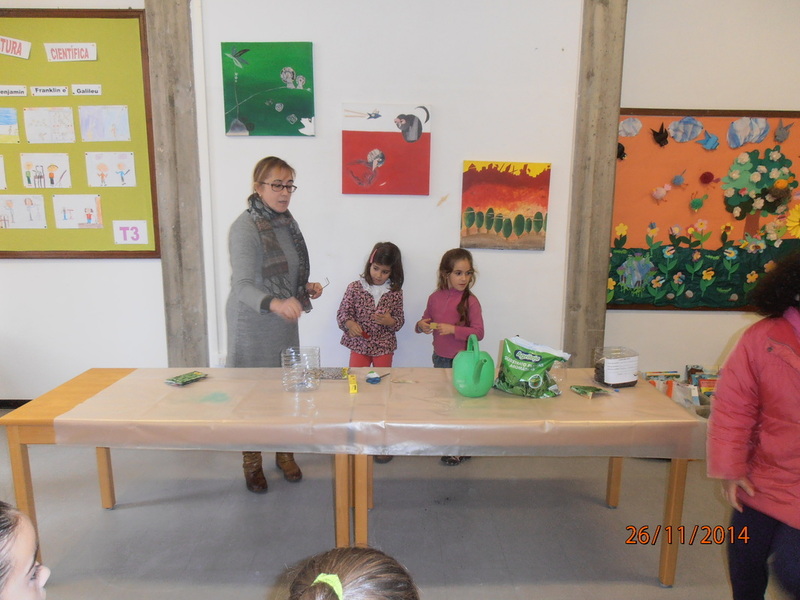 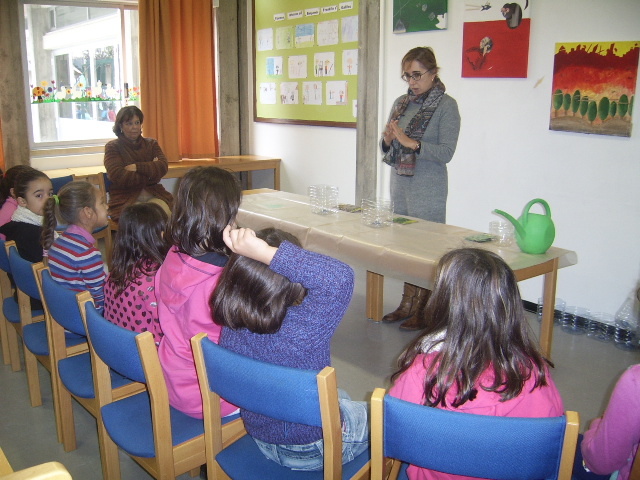 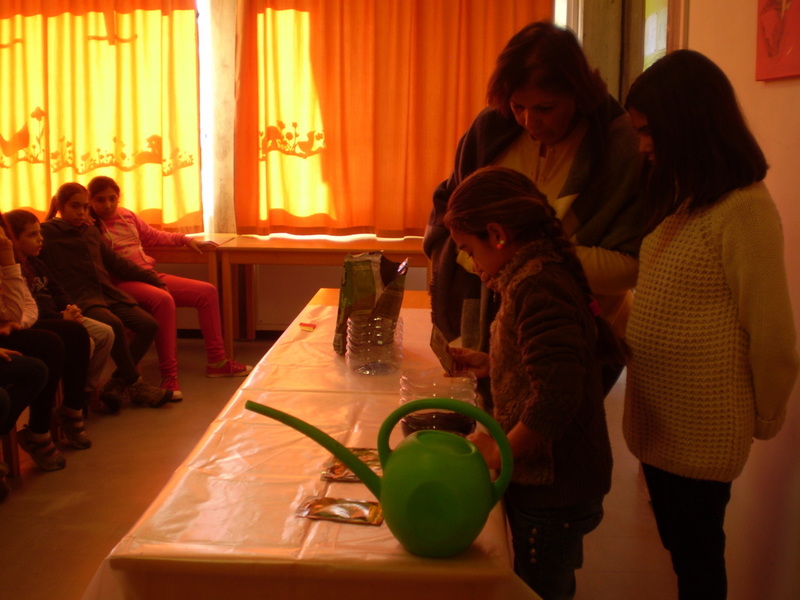 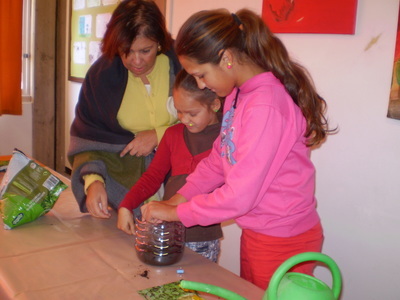 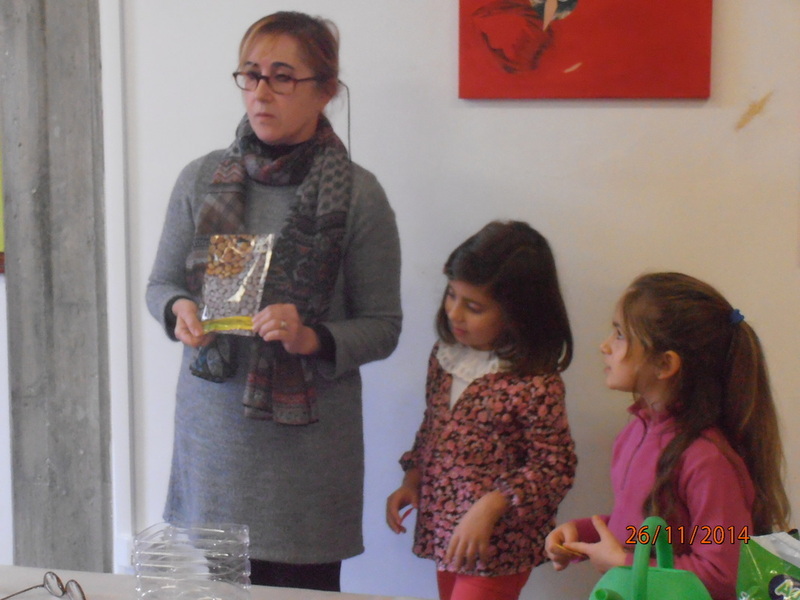 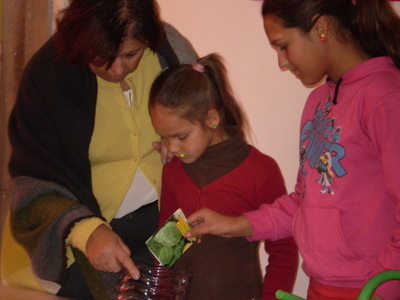 In November 2014 (days 19 and 24), with the cooperation and technical advices from the Municipal Environmental Study Centre and its technicians, it was ossible to promote several recycling activities with all classes (primary and kindergarden) of Templários School. 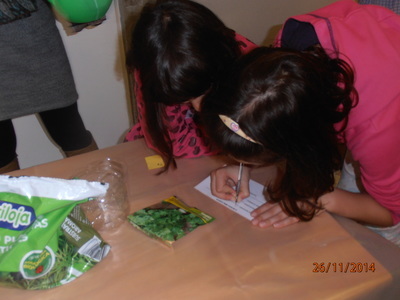 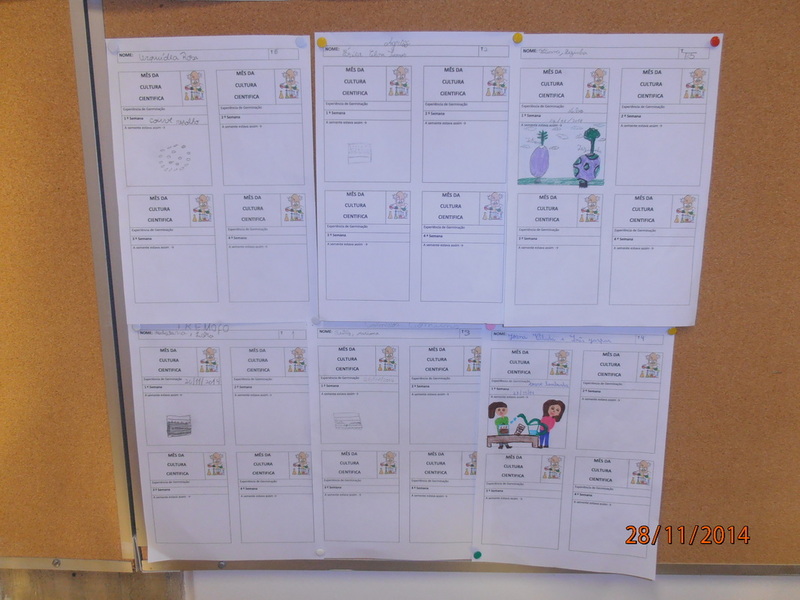 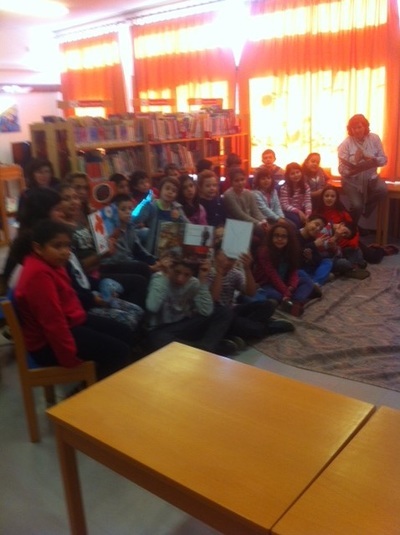 Those activities were integrated both on Erasmus project and the School Reading Week. Better than words, images speak for themselves. 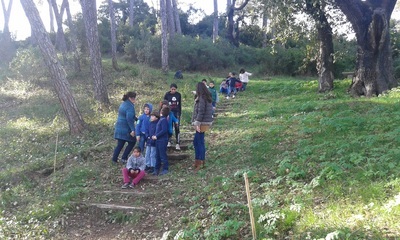 Kids had alot of fun and learnt how not to waste. 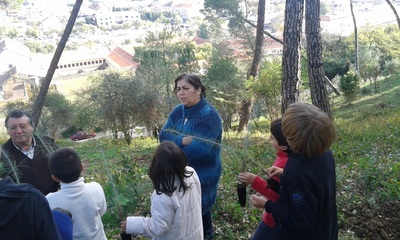 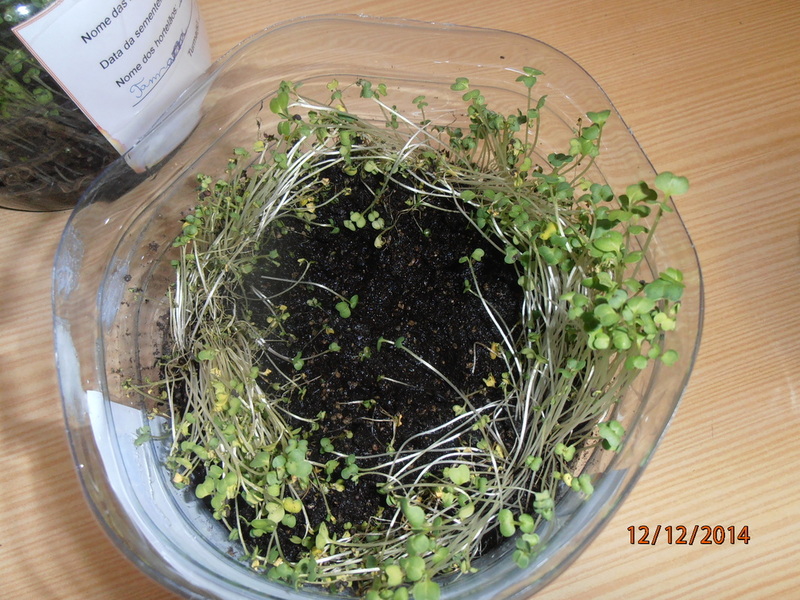 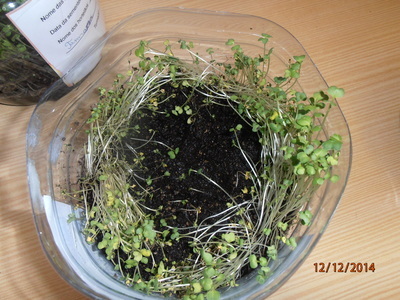 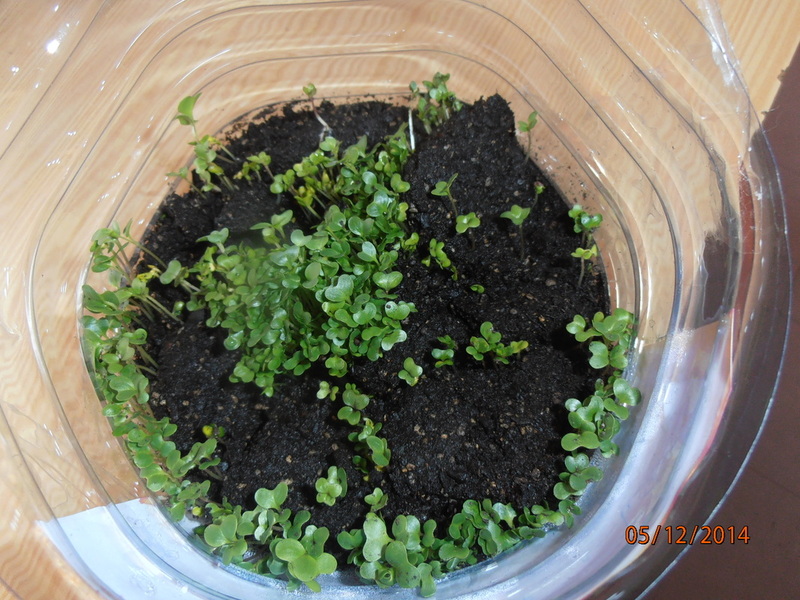 Acording to the Project plan of creating gardens at school, apart from a real garden on Santa Iria School, as it may be seen below in this webpage, Templários school classes decided to create their own little gardens with several vegetable species, starting on the first term of the school year after our first coordinating meeting in Galway, October 2014.. 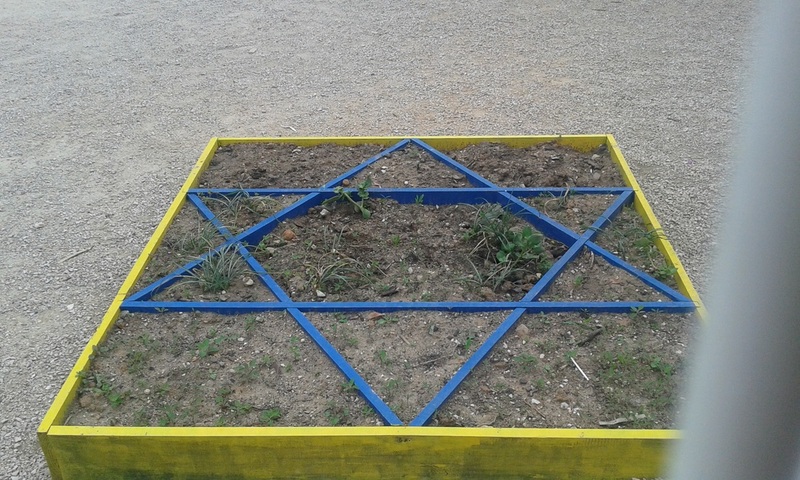 Regarding the fact that this year of 2015, the major Tomar's festivity took place (THE TRAYS FESTIVAL), one of the schools of our group of schools decided to create with used materials, a huge tray to display on the courtyard. 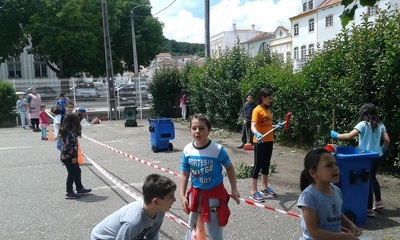 It was an outstanding work. 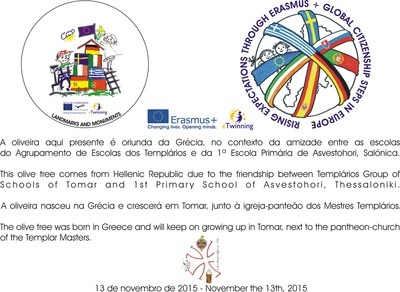 Pupils, parents, staff and teachers must be congratulated. 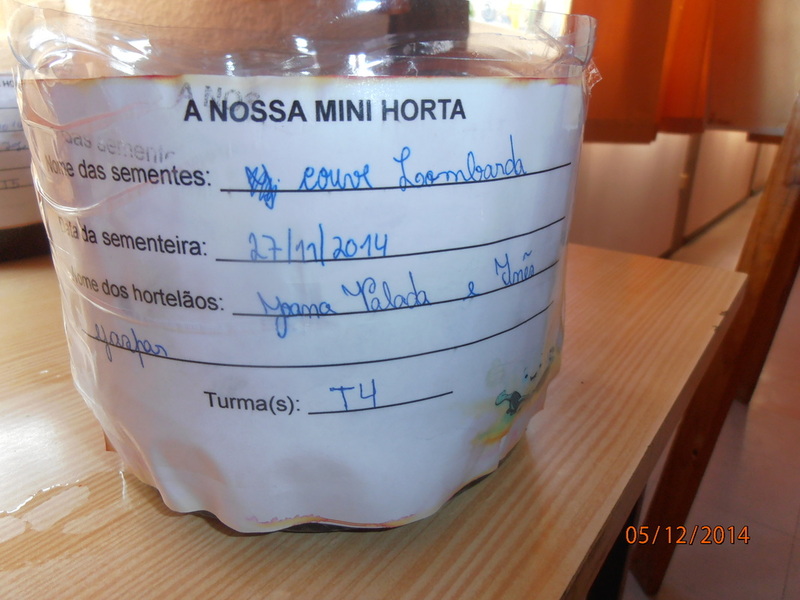 Filling plastic water recipients with brown soil to look like the bread of the trays. 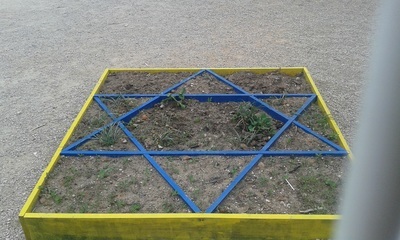 The final work compared to human dimensions. 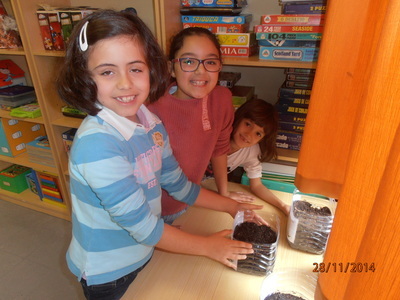 Our school vegetable garden is an activity developed by special needs pupils according to their own special curricular programme, supported on the surveillance of their teachers and, sometimes, some of the school staff. This means that, this year and the next year, we've managed to integrate a special curricular activity on our Erasmus Plus project. And with beneficts1 as you may see on the last images, there are eatable fruits coming fom the trees or bushes. A lot of work was needed form the very beginning of the school year: the location of the vegetable garden needed a good preparation. Bit by bit, things have been done: cleanning the soil, ripping off the herbs, ploughing the soil, sowing tomatoes, aromatic herbs, beans, broad beans, corn and flowers. 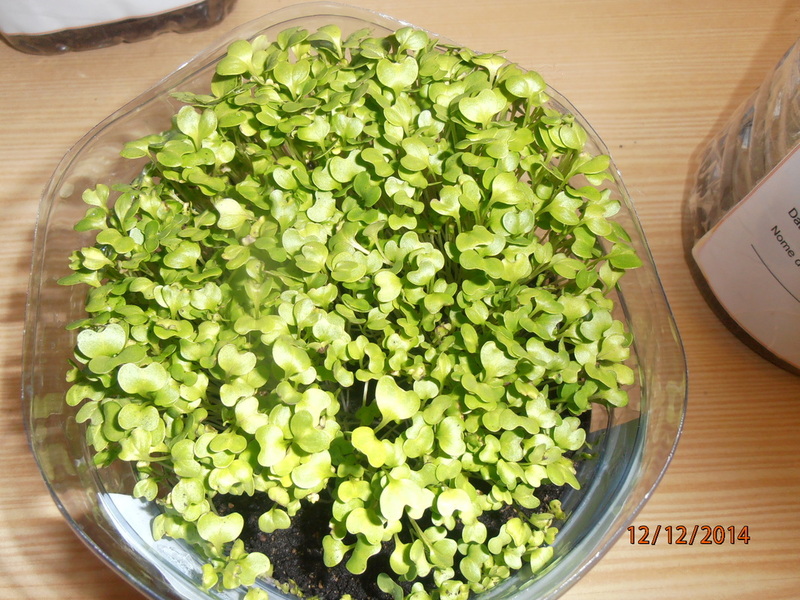 With much attentiuon and care, watering properly the vegetables and absolute no use of chemical procucts, the results were very good. The crop was excllent anfd the meal even better! 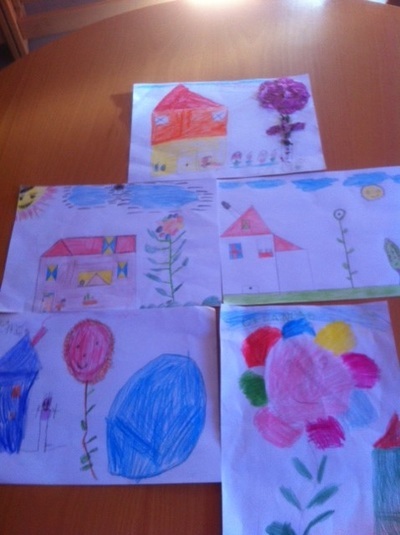 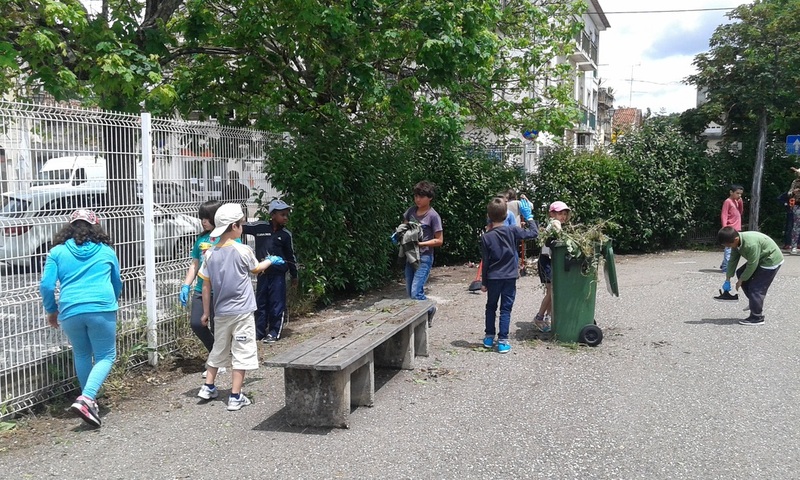 Pupils are very proud of their garden. 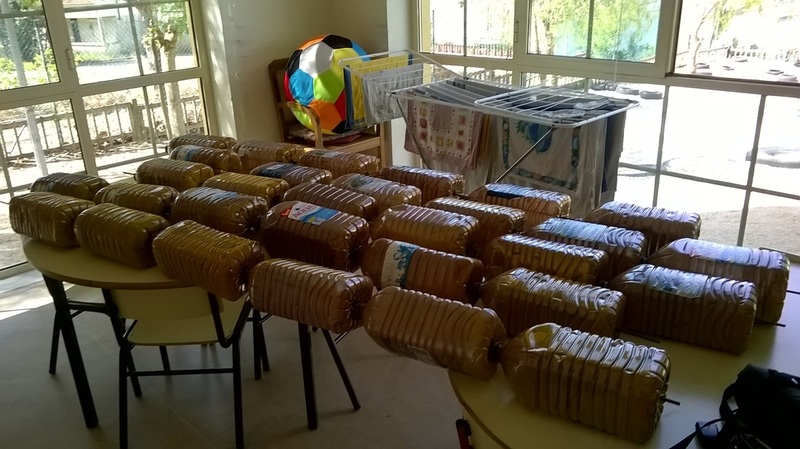 On March 2015, the 17th, the 19th and the 20th,three classes have pianted and "built" from used milk packages a sort of a feeding pot for birds. 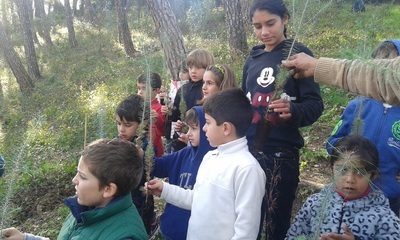 This way, children were aware of the importance of birds and our duty towards the species by helping birds to be fed taken into consideration that huan behaviour often destroys the natural feeding resources.